New Podcast episodes will be posted every Monday and will include interviews, inspiration, and educational information about all aspects of the end-of-life! SUBSCRIBE TO THE EOLU PATREON PAGE! Now you can support the EOLU interview series by donating $1 or $2 per month to help defray production expenses. When you become an EOLU PATRON you'll receive special bonuses like an invitation to the "Hospice Happy Hour Hangout", patron-only interviews, and other special content. You can hear my show on Stitcher- Stitcher is radio on demand! 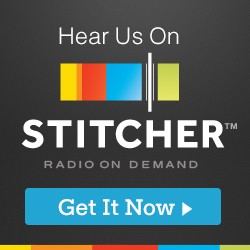 Don’t have Stitcher? ... Download it free using the link above!